What Do Butterflies Eat? - Liquids, nectar from flowers or juices from fruit. Butterflies drink liquids, primarily nectar from flowers and juices from fruits. Butterflies are insects from the order Lepidoptera (which includes moths) that are known for their beautiful scaled wings. They are very versatile and are found in every type of habitat and on every continent but Antarctica. Like all insects, they have three main body parts: a head, a thorax, and an abdomen. Butterflies also have a pair of antennae, six jointed legs, four wings, and an exoskeleton (an external skeleton as opposed to an internal one like humans have). Unlike most insects, butterflies also have scales. In fact, out of all the insects, only butterflies and moths have scales, and these scales are on their bodies as well as their wings. Fun Fact: Lepidoptera means “scaly wings” in Latin. Butterflies can range in size from as small as 0.5 inches (the Western Pygmy Blue butterfly) to up to 12 inches (the Queen Alexandra’s Birdwing butterfly). Their lifespan is anywhere from a week to a year depending on their size (larger butterflies tend to live longer). 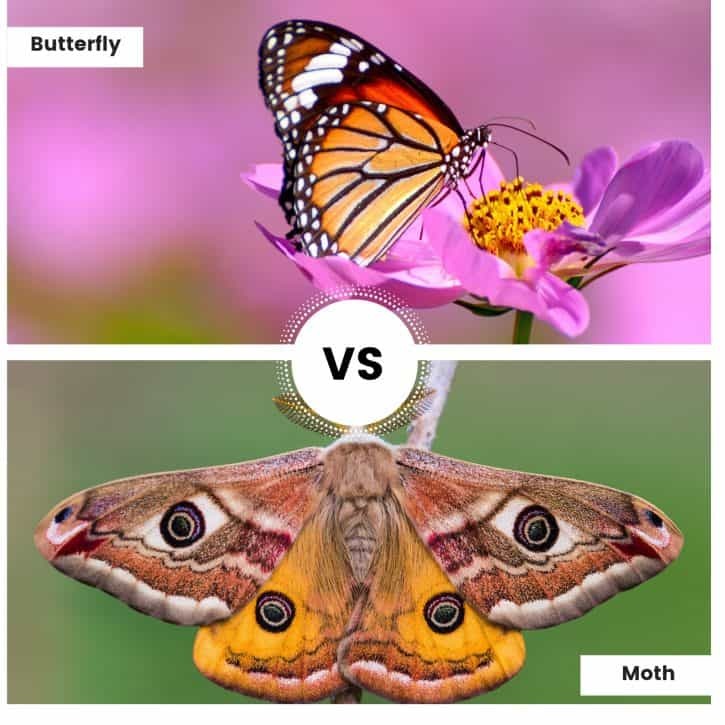 What’s the Difference Between Butterflies and Moths? While they are sometimes confused for one another due to their similar appearance, butterflies and moths are distinctly different. While there are exceptions, butterflies tend to be brightly colored and diurnal (active during the day), and moths tend to be drab in color and nocturnal (active at night). When in doubt, the easiest way to tell the difference between the two is to look at their antennae. Butterflies have thinner, smoother antennae that have club-shaped tips, and moths have thicker, feathery antennae with no distinct tips. Butterflies are typically smaller than moths and less furry. They also tend to fold their wings up and back when resting, while moths rest with their wings either spread out or flattened against their bodies. The two also differ in their feeding habits. Most butterflies rest on their food source to eat, while most moths hover (like a hummingbird) over their food source to eat. Butterflies don’t eat in the traditional sense. Instead, they drink! Butterflies will drink any liquid (especially if it is high in sugar or salt), but they primarily drink nectar from flowers or juices from fruits. 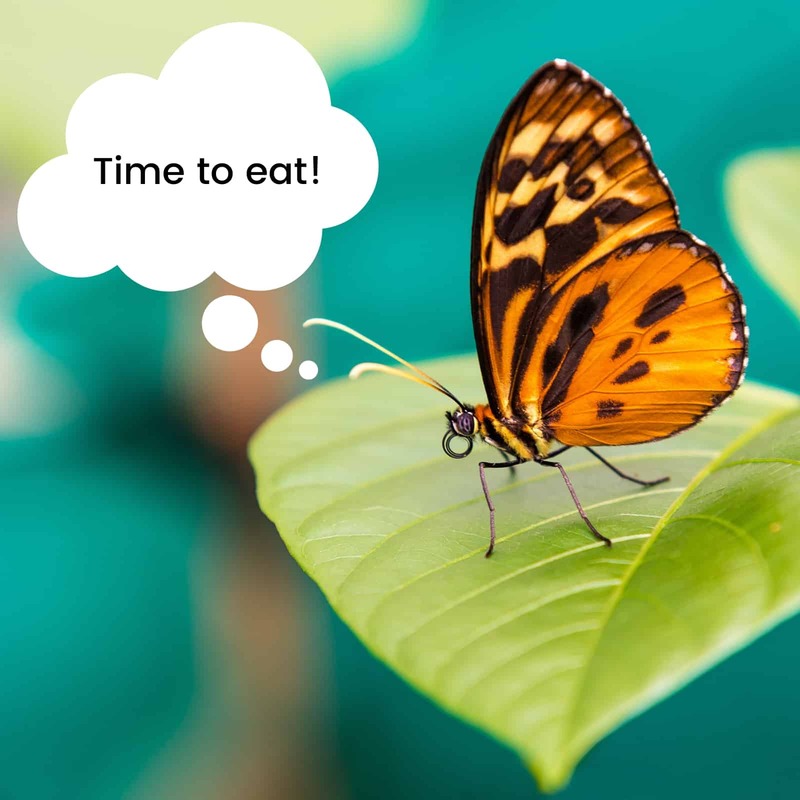 While most butterflies have an all liquid diet, there are some notable exceptions: such as the Zebra Longwing butterfly (which can externally digest pollen and then drink it up) and the Harvester butterfly (which is carnivorous and eats aphids). How Do Butterflies Get Their Food? Fun Fact: Butterflies taste with their feet! Since they don’t have mouths, butterflies have taste sensors on their feet that enable them to tell what plants taste like when they land on them. These sensors also allow the butterflies to tell if a food source is edible for their young to eat, which in turn helps them to determine where to lay their eggs! Here is a video of a butterfly eating that you can check out when you are tired of watching cat videos! What Do Baby Butterflies (Caterpillars) Eat? Baby butterflies are called caterpillars, and they have a different diet than adult butterflies. Let’s start with a brief summary of a butterfly’s life cycle so that we can better understand their dietary requirements. Butterflies undergo metamorphosis (which is where they transform into an adult through different stages), and their life cycle consists of four basic steps: egg, larva, pupa, and imago. First, a female butterfly will lay an egg or eggs (it depends upon the species), and then a male butterfly will deposit sperm and fertilize it. Next, the egg hatches into a caterpillar, which is also known as a larva. It is immediately hungry and able to eat once hatched, and often it eats its own egg. During this stage, the caterpillar will molt (shed its skin) several times. Then, the caterpillar makes a pupa (which is also known as a chrysalis) to protect it while it undergoes its change to a butterfly. While the image of a butterfly emerging out of a cocoon is iconic, most butterflies do not have cocoons (but most moths do). Instead, the chrysalis is made of hardened protein (while cocoons are spun out of silk). Lastly, an adult butterfly emerges and continues the life cycle. An important factor to keep in mind is that caterpillars do not have a proboscis. 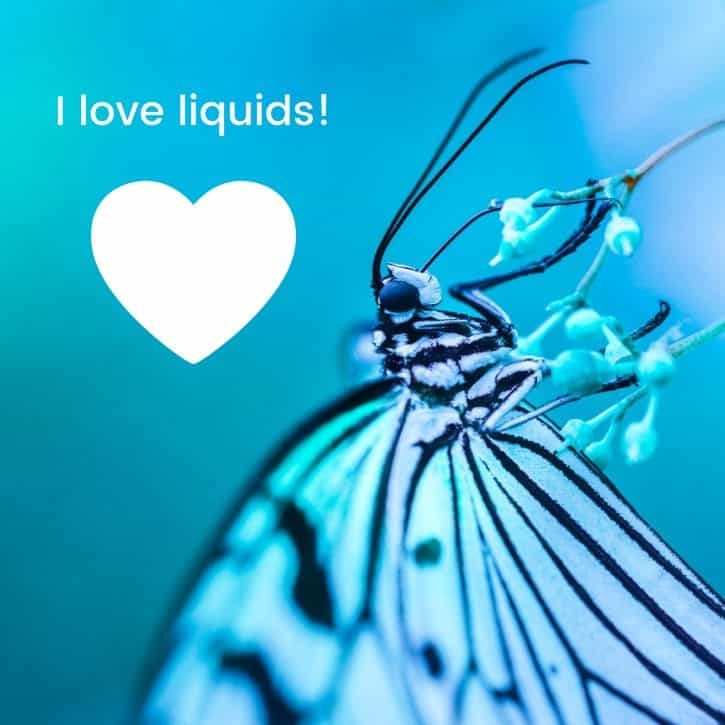 Therefore, they are not limited to liquids like adult butterflies are. Instead, caterpillars eat mostly leaves and plant parts. The main impediment to their diet is that some species only eat specific plants as caterpillars (as opposed to their adult form). For example, Monarch caterpillars only eat milkweed plants, but Monarch butterflies eat milkweed nectar as well as other flower nectars and other liquids. What Do Adult Butterflies Eat? As mentioned previously, adult butterflies will drink any liquid and can eat anything that will dissolve in water. They also prefer liquids high in sugar and salt. Butterflies love sugary foods (such as nectar) which are high in calories but low in nutrients which is why they have such short lifespans. Many butterflies live mainly off the fat they accumulated in their caterpillar stage. Remember those exceptions to the all liquid diet we talked about earlier? The Zebra Longwings and the Harvesters? Well, they live much longer than their counterparts because they get more nutrients from their diets! Butterflies also love salt, which is a necessary component for their reproduction since it increases their chances of reproductive success. This love of salt also explains why butterflies will land on humans. They love our sweat! While nectar and fruit juices are a staple in their diet, butterflies will also eat tree sap, animal droppings, rotting fruit, and mud. Yes, mud. Butterflies need lots of liquids. If there are no liquids available, then they can regurgitate their food into the soil and then re-drink it to get nutrients. They are hard-core survivalists! How Often Should You Feed Butterflies? Butterflies are constantly grazing throughout the day, so they need continuous access to liquids. There are also bright, flower-shaped feeders that you can buy to attract butterflies that you can fill with sugar water. Or you can use a colored sponge soaked with sugar water (just remember to re-soak the sponge daily). While you can buy packaged sugar water for butterflies, you can also make your own. Just use a 1:4 ratio of sugar to water: dissolve one-part sugar in four-parts boiling water and place in a feeder or on a sponge. Do not add food coloring because it is not good for butterflies! Fun Fact: A group of butterflies is called a flutter, a swarm, a rainbow, a rabble, or a kaleidoscope. That’s a lot of options! A group of caterpillars is called an army. Summary of What Do Butterflies Eat? Butterflies are insects from the order Lepidoptera that sip liquid using a long, narrow, straw-like appendage called a proboscis. They are sometimes confused with moths since both have scales, but the easiest way to differentiate the two is to look at their antennae. 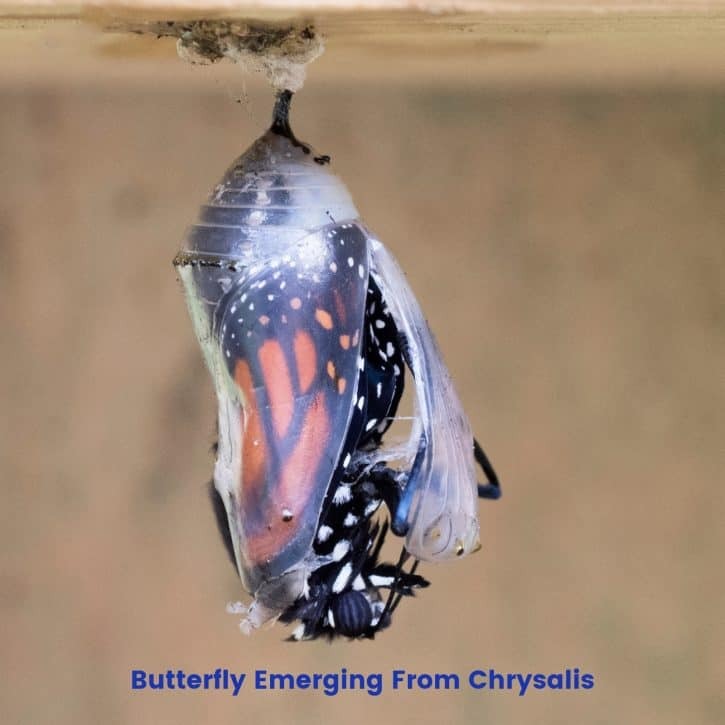 Butterflies undergo metamorphosis (which is where they transform into an adult through different stages), and the four basic steps in their life cycle are egg, larva, pupa, and imago. Baby butterflies are called caterpillars, and they do not have a proboscis like adult butterflies do. Instead of being limited to liquids, they eat mostly leaves and plant material. If there are no liquids available, then butterflies can regurgitate their food into the soil and then re-drink it to get more nutrients. Butterflies also prefer liquids that are high in sugar and salt. 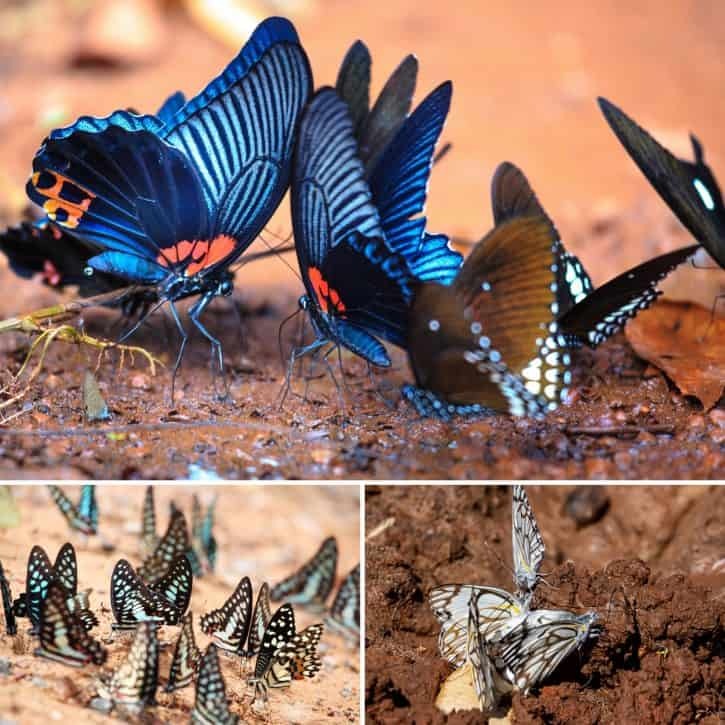 Butterflies have been known to practice “puddling” or “mud-puddling” where they gather on shallow puddles or mud so that they can drink extra minerals. If you are looking to attract butterflies, then you can either buy packaged sugar water from a store, or you can make your own.